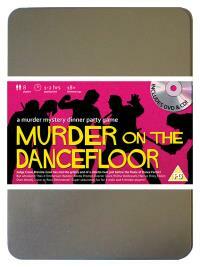 You've been invited to play the role of EMMANUEL HANDLER in Murder on the Dancefloor. It’s the eve of the final of Dance Factor and the competition is tighter than the male dancers’ leotards. Crane Breville Cowl decides to host a pre-final bash to relieve everyone’s tension and invites the finalists and his colleagues to come along, but all he gets for his troubles is a stiletto heel in the head. Join with us to find out who stepped on Crane’s parade! Professional Dancer (his training is very hands on!) Costume Suggestion : With your ever-present fake tan, you prefer to wear bright sequined shirts (open to the naval of course) with the tightest black trousers you can squeeze into. This, along with your waxed handlebar moustache, makes you irresistible to women – at least that’s what you think! You're the World Latin Dance Champion, renowned for your powerful Cuban hip action. Your ex-wife, Tipsy Topplova, won last year's Dance Factor despite suffering from vertigo, and you’re hoping that you and Reeda will do the same this year.